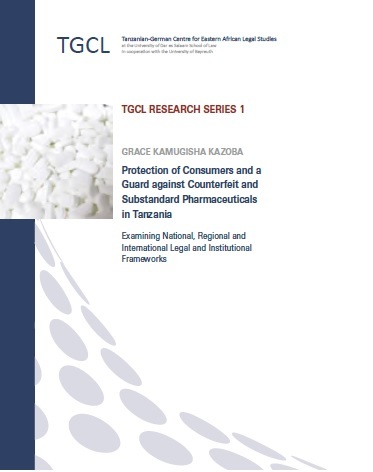 The TGCL Research Series is based on the outcome of the research undertaken by TGCL PhD students and further researchers. Series Editors are Gordon R. Woodman, Ulrike Wanitzek, Benedict T. Mapunda and Johannes Döveling. 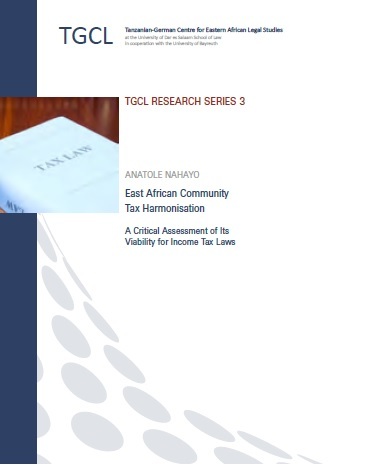 The books may be ordered through the TGCL office in Dar es Salaam or through Rüdiger Köppe Verlag. Compensation to victims of conflict is vital in any post-conflict society passing through a period of transitional justice. This is one of the forms of reparation that endeavour to acknowledge the suffering endured by victims during armed conflict. 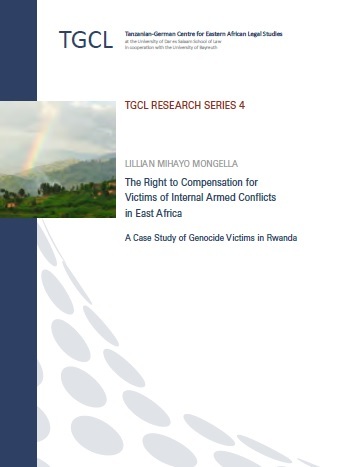 In this work Lillian Mihayo Mongella explores the right that victims of armed conflict possess, or ought to possess, to be compensated for the harm they have suffered. Her study centres on the internal armed conflicts that have occurred within the East African States, particularly the 1994 genocide in Rwanda. The legal and administrative mechanisms currently in place and the challenges faced in this field by both victims and governments in this region are examined. The author contends that, in order to ensure payment of compensation to victims, proper laws and policies need to be firmly instituted. In Rwanda, for instance, genocide victims are yet to obtain compensation because of the lack of proper laws and policies to facilitate the process. The country has been struggling since 2001 to put in place a specific law to govern the compensation process. The 1996 Organic Law which accorded an opportunity to victims to claim compensation in courts of law has been technically rendered ineffective by the law establishing the Genocide Survivors’ Fund, which reserves to the Fund the power to sue the perpetrators. The author has also addressed other challenges, such as the difficulties encountered in identifying victims and the inadequacy of resources. A number of recommendations are put forward for legal and policy reforms at international, regional and national levels which would enable the existing impediments in compensating victims of internal armed conflicts to be tackled. This study is thus relevant and useful in the areas of international humanitarian law, international criminal law, international human rights law, and transitional justice in general. It will be useful also to scholars, law makers and policy makers in the area of victimology. Grace Kamugisha Kazoba, Protection of Consumers and a Guard against Counterfeit and Substandard Pharmaceuticals in Tanzania. 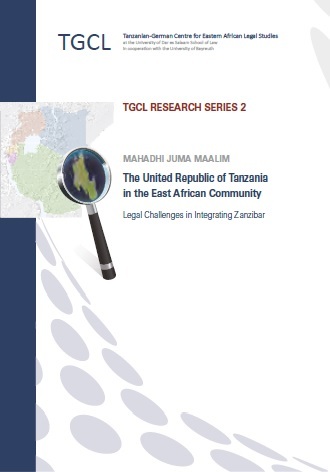 Examining National, Regional and International Legal and Institutional Frameworks, Dar es Salaam: Dar es Salaam University Press, 2013.